The first thing that came to mind when unboxing the Dark Fleet was Matt Damon in Saving Private Ryan talking about his brother's girlfriend, who he says (to paraphrase) "looked like she'd fallen from the ugly tree and hit every branch on the way down." 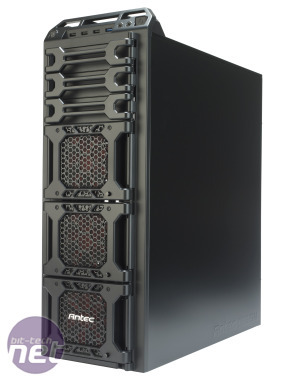 The Twelve Hundred has questionable looks but Antec have gone one better, as the Dark Fleet is truly hideous. In fact, it almost looks as though it's missing its front fascia. Quite frankly, the bulging drive doors and three external 5.25in bay covers are nothing short of an eyesore. Another oddity we need to get off our chest is the top-mounted 2.5in drive bay. Mounting your hideously expensive but extremely desirable SSD in an exposed, unsecured manner on the outside of your case is a terrible idea. If you can get past the exterior of the Dark Fleet DF-85 - and aesthetics are a personal thing - you'll find that the rest of the case is actually rather good. 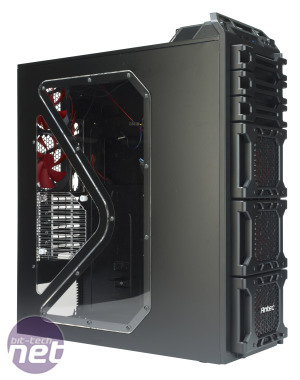 It's slightly smaller than the venerable Twelve Hundred but still has the same three front-mounted 120mm intake fans along with filters and two 120mm exhaust fans, although the 200mm Big Boy fan has been replaced by two 140mm fans. There's an additional 120mm fan mount in the large side window too. Fan control is pretty much the same as the Twelve Hundred, with separate variable speed control dials located on each of the three 3.5in bay doors, with each of the four remaining fans having its own switch at the rear of the case with low, medium or high speed available. The fans are very quiet at low speed, but anything above this quickly becomes very noisy. There's space for nine 3.5in internal drives with two movable hot-swappable SATA connectors at the rear of two banks of 3.5in bays. The latter seems to be a questionable inclusion, since the hard disk will only be a few centimetres away from the PSU and motherboard, and won't be truly hot swappable, as it needs to be secured to the bay with screws. 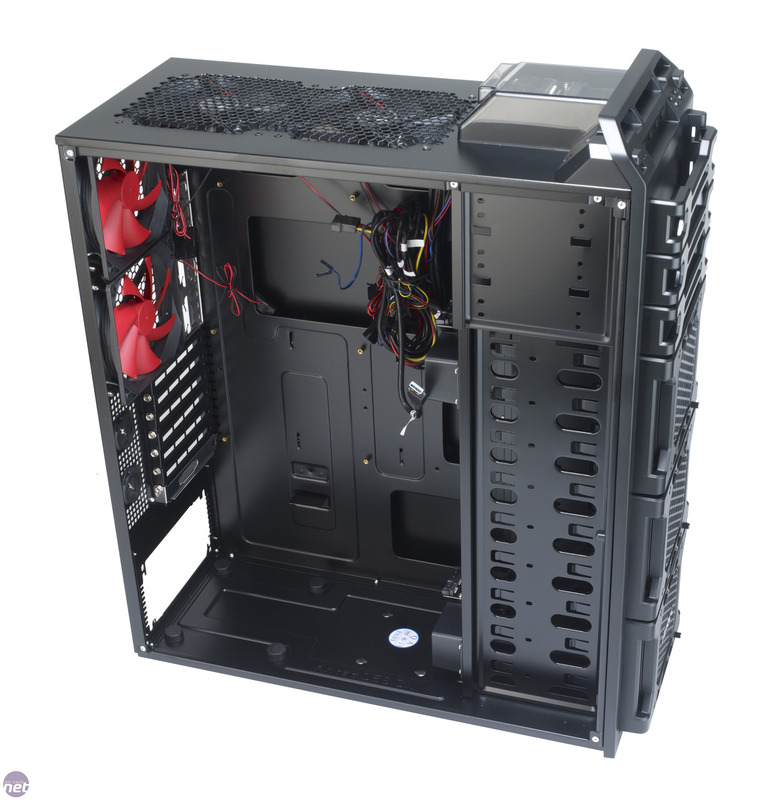 However, the PSU is mounted on four large rubber pads to reduce noise via unwanted vibrations. 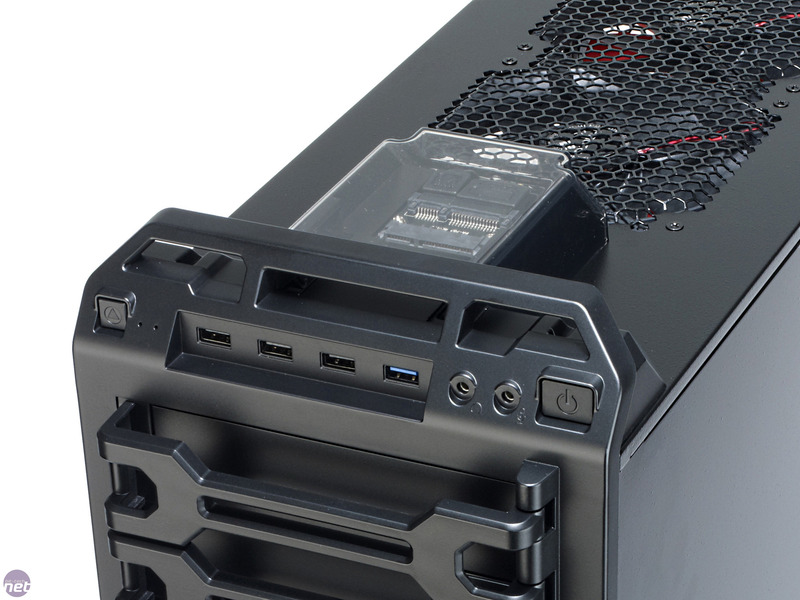 As we've come to expect from Antec, there's an abundance of cable-routeing holes inside the case. 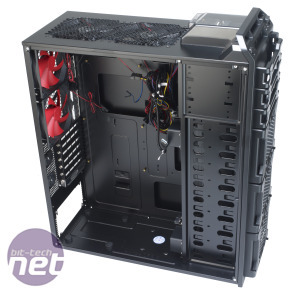 There's also a hefty gap between the motherboard tray and side panel to hide anything you won't use. However, as it's not as deep as some cases we've seen recently, it's not easy to work with as it might be. There is, however, enough space for most double 140mm radiators with 15mm fan spacing. Also present is a single USB 3 port, which might prove useful in the future, along with three USB 2 ports, and microphone and headphone jacks. 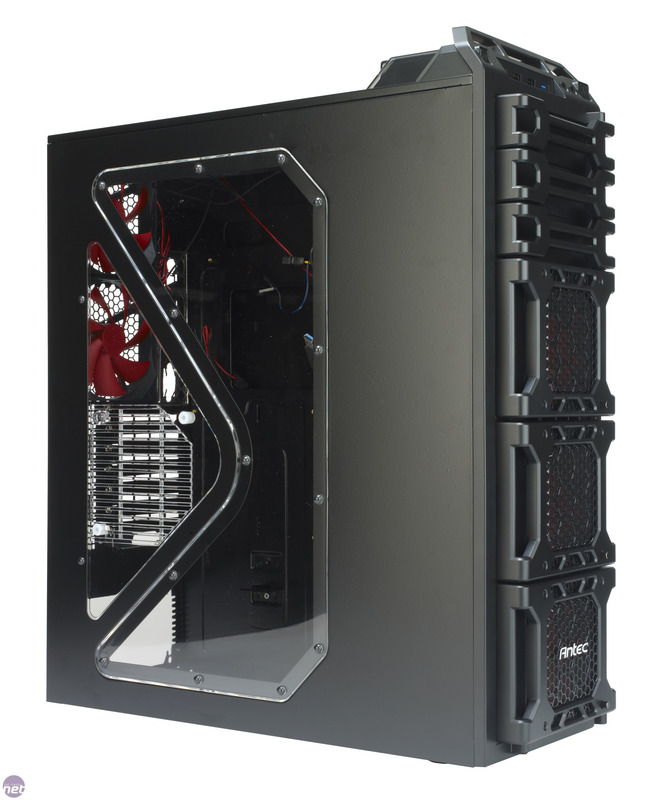 The popular HAF X gets a downsizing. Will it live up to its reputation? 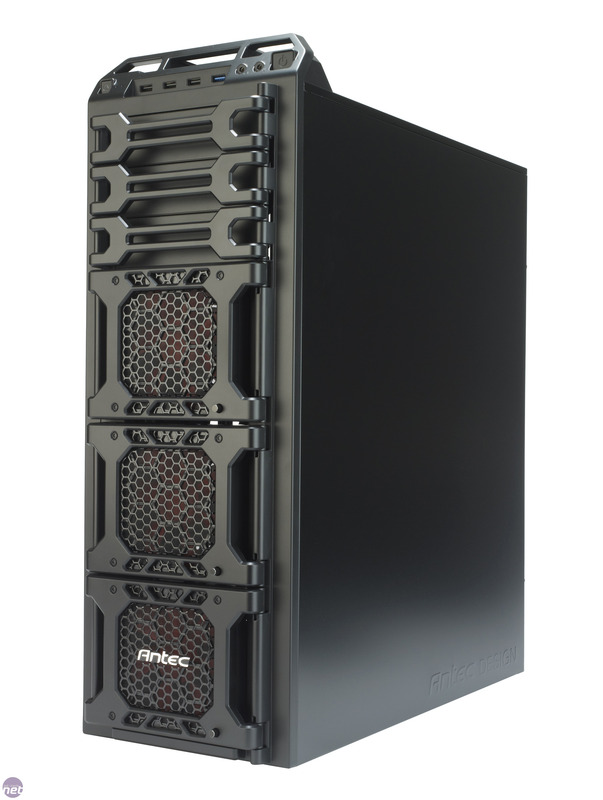 Antec returns with a recession buster of a case. We find out how it holds up.